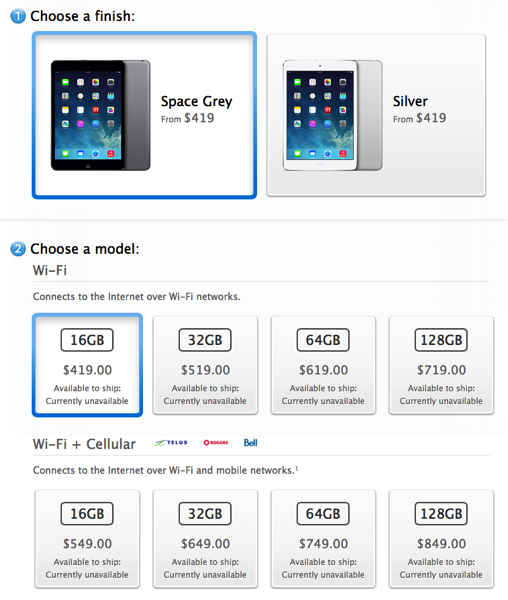 Note the iPad mini with Retina gains a 128GB capacity. This increase in pricing doesn’t come as a surprise considering the differences we saw again with the iPhone 5s and iPhone 5c. Despite last year’s iPad and iPad mini price parity between Canada and the USA, things have changed. 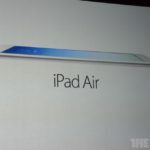 The iPad 2 does remain at the same price as the USA though at $399. Thoughts on the price differences?